We at WayRay have been pioneering holographic AR technology since 2012. 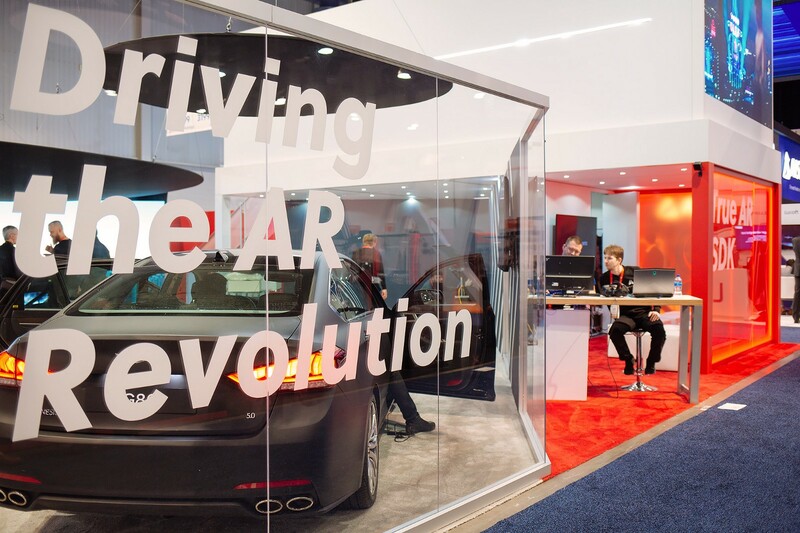 And like the AR-driven industry itself, our company has evolved significantly over the past few years, having earned a prime spot in the CES exhibition hall and in the hearts of major automakers. When it comes to bringing together tech innovators and industry leaders, the Consumer Electronics Show — first in Las Vegas and then in Shanghai — is the world’s best matchmaking platform. With an annual attendance of around 200 thousand people, CES provides a buzzworthy stage for more than four thousand companies to introduce their products to the market. WayRay first appeared at the Nevada showcase in 2017 when our team exhibited the joint project with Rinspeed. Two years later, in 2019, we are setting up our booth to present a demo car with an embedded holographic AR display, an AR cockpit concept, and the True AR SDK. Here is a short timeline that reflects on WayRay’s product development strategy — from focusing on aftermarket and embedded solutions for OEMs to exploring how to apply AR technology beyond automotive and conceptualizing the True Augmented Reality Platform. In January 2017, we first took part in the Consumer Electronics Show in Las Vegas and announced a strategic collaboration with Harman, the leading car electronics manufacturer, now acquired by Samsung. “Harman’s collaboration with WayRay further solidifies our commitment to deliver seamless, integrated, connected, and safer driving experiences”, said the president of Harman Connected Car Phil Eyler in an interview with VentureBeat. 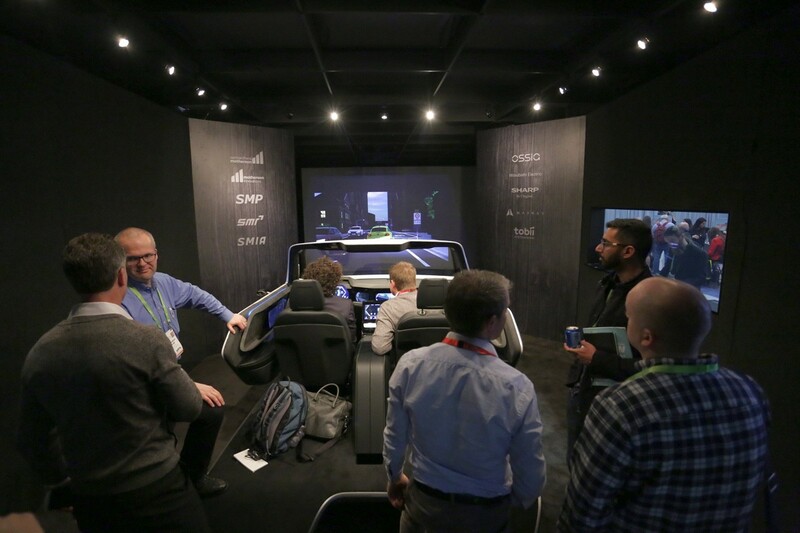 In Harman’s booth at CES, we showcased the world’s first holographic AR infotainment system for drivers and passengers embedded into Swiss manufacturer Rinspeed’s concept car, the Oasis. 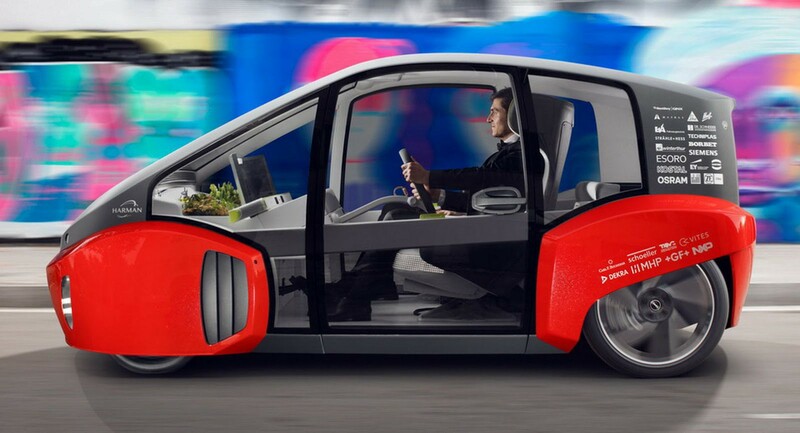 Envisioning what the future holds for connected autonomous vehicles, we repurposed the windscreen to create a new medium for information — with virtual imagery projected onto the road, just like in a video game, but without the headgear. “By developing our holographic AR technology that makes driving safer and more fun, we’re supporting this vision of driverless cars of the future with technology available today”, said Vitaly Ponomarev, Founder and CEO at WayRay in his interview with Forbes. A year after the debut, we ventured to go solo and set up our own booth to premiere the flagship aftermarket product Navion, the holographic AR display prototype, and the gamified car tracker, Element. We also announced our upcoming True AR SDK™ to be released in 2018, which would allow third-party developers to create AR applications for WayRay’s holographic AR displays. WayRay’s prototype of the in-car holographic AR HUD got people lining up on the floor to witness firsthand the larger display area compared to conventional HUDs (11° x 7.2° field of view) and the small volume of the device. Navion put us in the spotlight as a potential provider of add-on holographic AR navigation systems for cars. The device shows directions and relevant points of interest exactly where the driver needs them to be — on the road ahead through the windshield — with no wearables required. Alongside this first solo performance, our team joined SMR — Samvardhana Motherson Reflectec, the rearview mirror manufacturer — at the Motherson Innovations booth showcasing The Empathic Cockpit, a mechanically and digitally perfect environment for drivers and passengers. On top of all that, we revealed our partnership with Honda Motor Company at the Honda Xcelerator booth when showing off Navion among five other participants. As part of Silicon Valley-based Honda Innovation, Honda Xcelerator aims to discover new technologies and provide startups with funding and support. 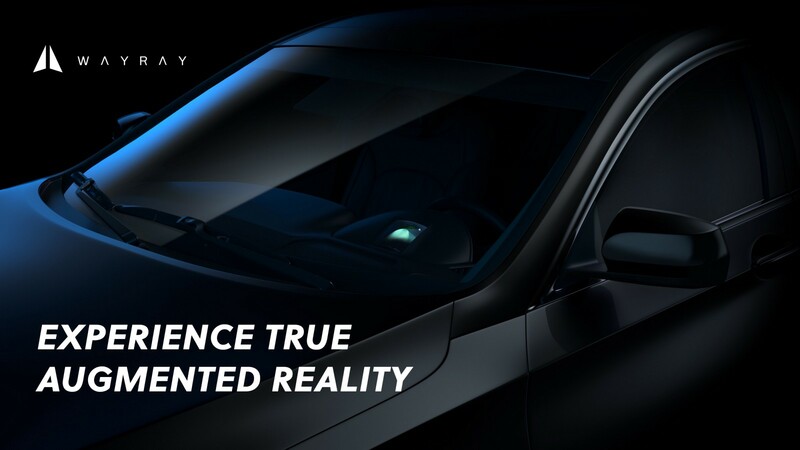 The joint project explores the opportunity to add WayRay’s holographic AR displays to future generations of Honda vehicles. 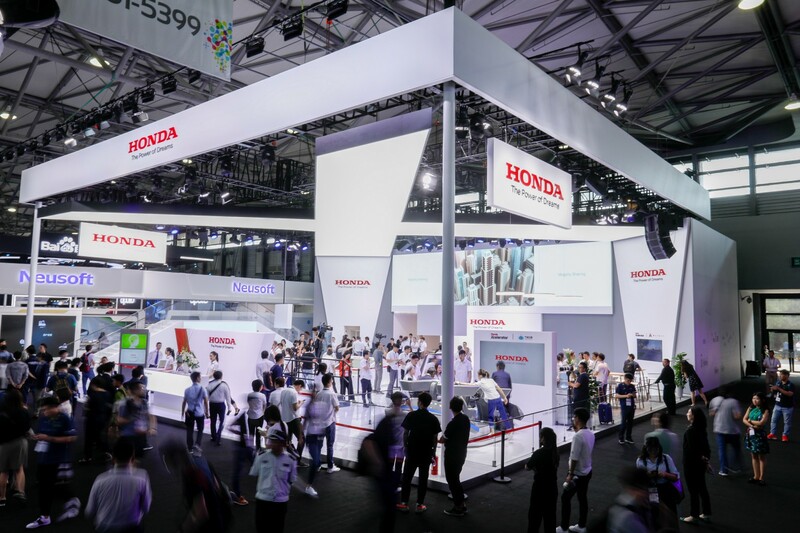 Later on, in summer 2018, we rejoined the Honda exhibit at CES Asia in Shanghai to bring our holographic AR displays to Asia’s automobile market. The visibility at CES Asia helped us establish new contacts and build a network in the Asia Pacific after the opening of our new office in Shanghai a few months earlier. “For us, Honda Xcelerator has been a great opportunity to show off our products in China and gain a foothold in the Asia market,” commented Andrei Shelomentsev, Head of Business Development at WayRay. In 2019, WayRay continues driving the AR future, where any glass surface is a new information medium. On January 8–11 at CES in the Las Vegas Convention Center, our team is going to roll out our first-ever holographic AR display built into a production vehicle. Attendees will get a rare chance to witness WayRay’s compact system installed in an actual car. We are also presenting the 180° Holographic AR Experience — WayRay’s cockpit concept for land, air, and water transportation. Showcase visitors will have a chance to immerse themselves in augmented reality and get a taste of what the future of autonomous mobility feels like. A year after we announced our plans for a custom software development kit at CES 2018, we are proudly showing off the True AR SDK. It’s a development platform for creating AR apps that visitors can test right at the booth, with more in-depth information provided during special SDK sessions. Follow WayRay on Facebook and Twitter and stay up-to-date with all of our latest news!